Memang , windows xp sudah disuntik mati oleh microsoft sebagai penciptanya . namun masih banyak para pengguna yang membutuhkan update . tapi ada versi Windows Embeded POSready yang masih mendapatkan update . 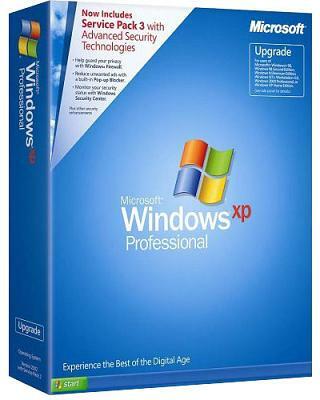 nah kali ini, saya bagikan Windows XP Professional SP3 December 2016 32 bit ini dengan update terbaru dengan memanfaatkan update dari windows xp yang masih di beri support oleh microsoft. dan tenang saja , didalam file sudah disediakan beberapa key untuk aktivasinya ! Requirements: 233 megahertz (MHz) processor, 64 megabytes (MB) of RAM, 900 MB of available disk space. When running update for the first time, you will get a message saying ‘Software Upgrade for Some Windows Components Required’. The upgrade will install Windows Genuine Advantage Validation Tool (KB892130). When done, close the window, click Microsoft update home and check for updates again. You will now be offered to install 5 high-priority updates and 9 Optional Software Updates. Most of the Optional Software Updates are related to .NET Framework (either installation of updates). Skip these updates unless they are required by some applications, downloading and installing them take ages ….